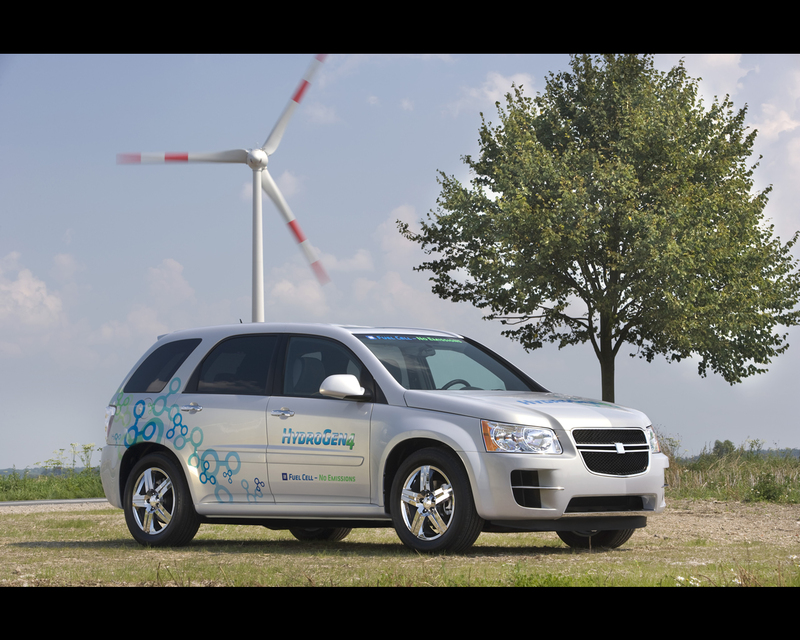 The General Motors Hydrogen4 is the European version of the Chevrolet Equinox Fuel Cell - a prototype close to series production based on the popular crossover vehicle. 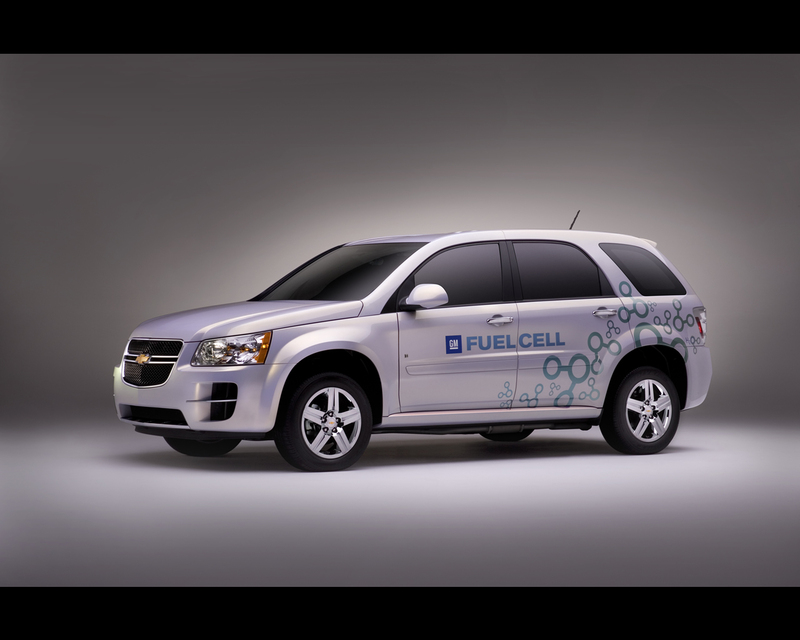 The first of these fuel cell prototypes are on the road in the U.S.A. as part of GM's extensive market test program called " Project Driveway" involving 100 vehicles and running from 2007 through 2010. The vehicles have been loaned to customers so that GM can obtain data and feedback of all aspects of real world driving and refueling with hydrogen. 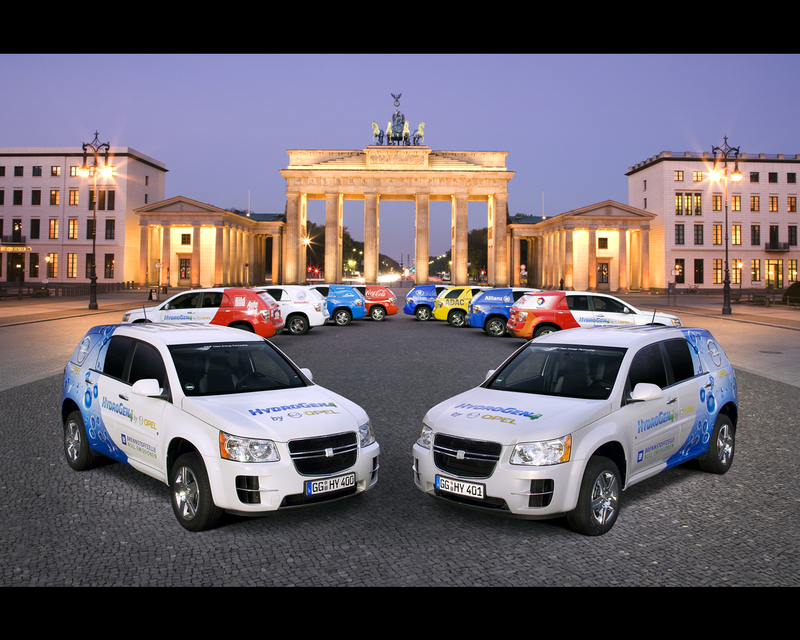 To gain experience in Europe also, it is planned to deploy in 2008 a total of ten Hydrogen4 vehicles within the demonstration program Clean Energy Partnership (CEP) in Berlin. In this second phase of CEP, various drivers with different driving profiles will use the fuel cell powered Hydrogen4 instead of their conventional vehicle to test the car's everyday suitability. 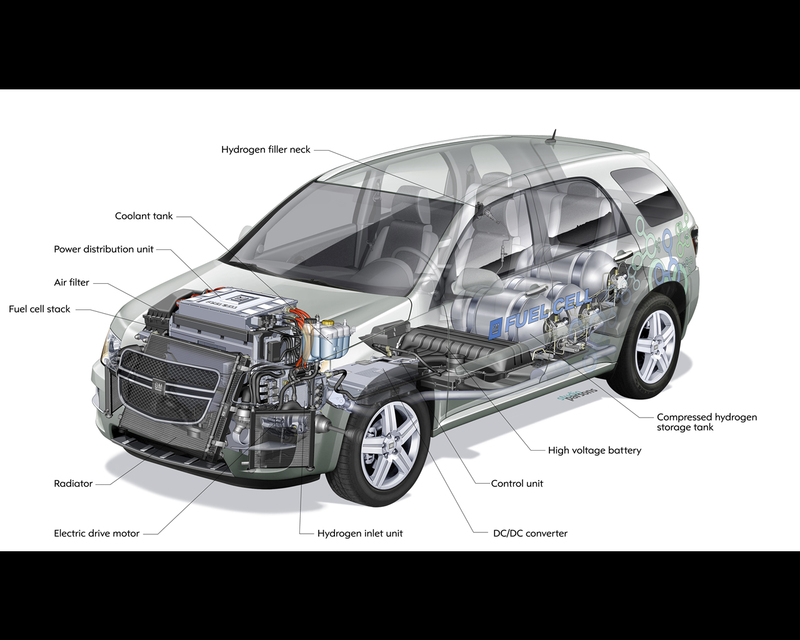 The Hydrogen4's fuel cell stack consists of 440 series-connected cells. The entire system produces an electrical output of up to 93 kW. Traction is provided by a 73 kW/100 hp synchronous electric motor, acceleration from zero to 100 kph (62 mph) takes a swift 12 seconds. The front-wheel drive vehicle's top speed is about 160 kph (99,4 mph). The Hydrogen4 has a hydrogen storage system comprising three 700 bar high pressure tanks made of carbon-fibre composite material, which can hold 4,2 kg of hydrogen. This provides an operating range of up to 320 km (198,8 miles). The Project Driveway in the U.S.A. began in October 2007 and will run through the end of 2010. The vehicles are being placed with the media, public policy leaders, business partners, celebrities and "regular" customers selected by 'hand raising' program on the internet. Drivers generally have the vehicles for two months, although some placements, such as those with business partners Disney and Virgin Atlantic, run for the entire program. 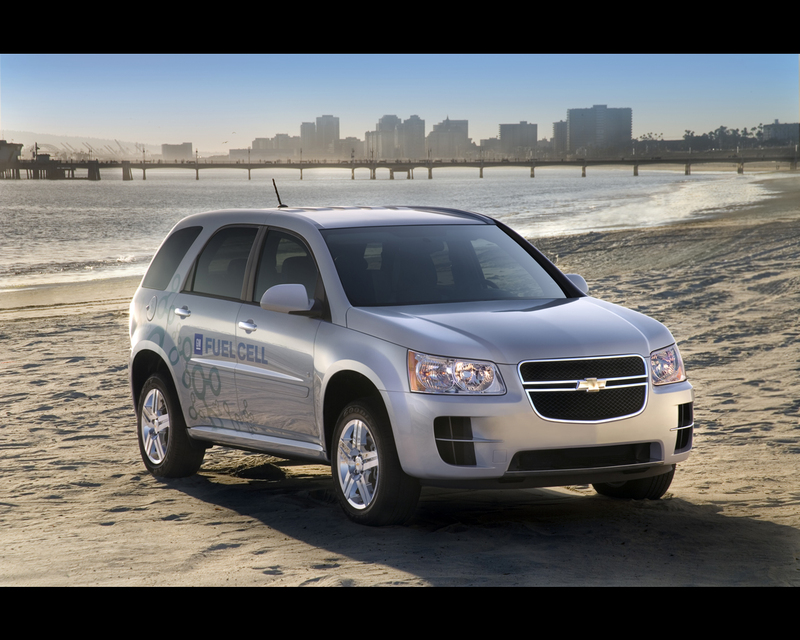 More than 3.400 individuals have driven the fuel cell Equinox. As a complement of information on hydrogen potential for transportation we are including an excerpt of an interesting conference presented at the Annual U.S. Hydrogen Conference 2008, by Lawrence D. Burns, Ph. D., Vice President, Research & Development and Strategic Planning.
" One of the most serious business issues currently facing General Motors is our product's near total dependence on petroleum as a source of energy. To address this issue, we have been implementing a strategy to displace petroleum through eneregy diversity and efficiency." " My comments today will focus on the status and future of one of these options: hydrogen fuel cell-electric vehicles. The potential societal and consumer benefits of this technology are clear and compelling. 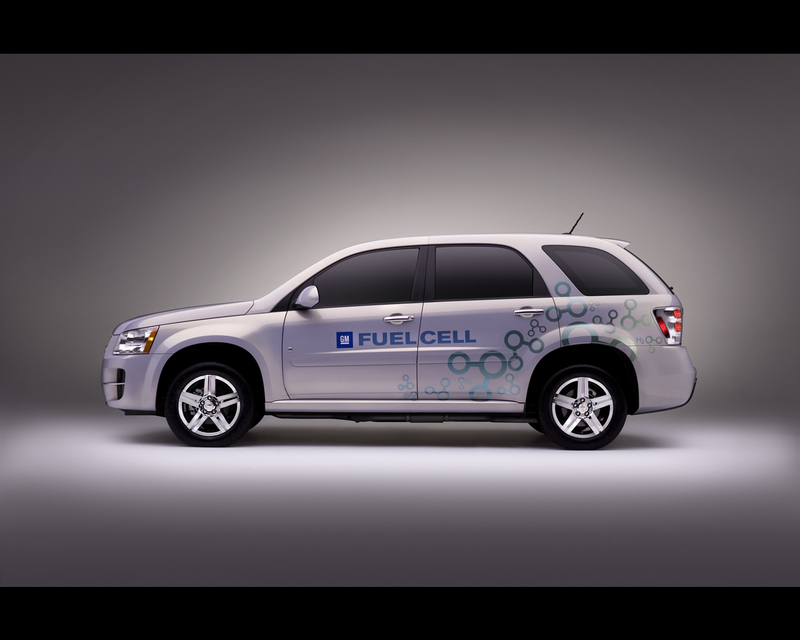 Fuel cell technology promises to deliver family-sized vehicles that are fun to drive, safe, look great, refuel fast, go far between fill-ups, and are emission-free and petroleum-free. And it holds promise to do all of this while keeping automobile affordable to own and operate. No other technology offers this exciting potential, and the automobile industry has made outstanding progress over the past decade to prove the potential is real. Collectively, GM, Daimler, Chrysler, Honda, and Ford have established an impressive list of industry -first benchmarks related to fuel cell vehicle performance, safety, range, speed, cold-start capability, durability, and functionality." " Quite honestly, the low level of hydrogen infrastructure actively is perplexing to technology leaders in the auto industry, especially when compelling facts exist supporting the conclusion that a hydrogen infrastructure for automobiles is economically viable and do-able. GM and Shell recently released a Hydrogen Fueling Infrastructure Assessment. 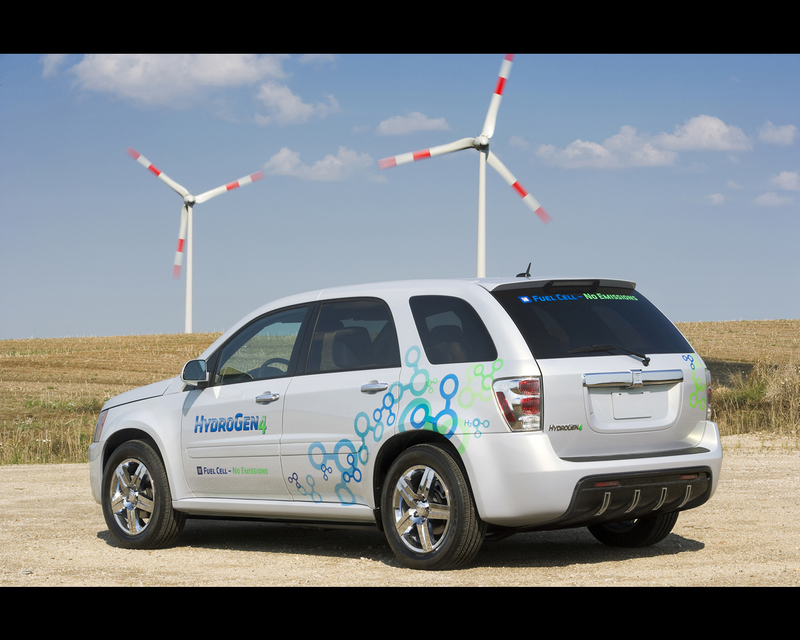 This study identified ten key things people should know about a hydrogen infrastructure for automobiles." "One: Today, more than 56 billion kilograms of hydrogen are produced globally each year. This amount is equal to what would be consumed by nearly 200 million fuel cell-electric vehicles! And, global hydrogen production is forecast to grow 45 percent to 81 million kilograms by 2011. The point here is that the hydrogen industry is already a huge global industry with mature technology and an outstanding safety record." "Two: About half of the global hydrogen production today is used at oil refineries. If this trend continues, by 2011, this will equate to roughly 135 million fuel cell vehicles, implying over 15 percent of the world's car park could be energized by hydrogen already being produced for transportation. The point here is that an enormous amount of hydrogen is already being produced by energy companies as an affordable and necessary input into the production of gasoline. And, the irony is that these companies work hard to perpetuate the petroleum economy, they are establishing significant capacity that can help to initiate the hydrogen economy." "Three: A large hydrogen production site exists today near almost every major U.SZ. and European city. This means large quantities of hydrogen are already being produced close to where most Americans and Europeans live." "Four: Numerous studies have shown that the near-term total cost-per-mile for hydrogen, when fueling stations are well utilized, could be equivalent to $ 2-3 per gallon of gasoline (untaxed). Thus, at today's gasoline prices, hydrogen used in fuel cell vehicles at volume already appears to be cost competitive." "Five: As more hydrogen becomes available for transportation, prices are projected to decrease further. The U.S. Department of Energy's long-term target for producing, distributing, and dispensing hydrogen is equivalent to $ 1,00 - 1,50 per gallon of gasoline (untaxed). 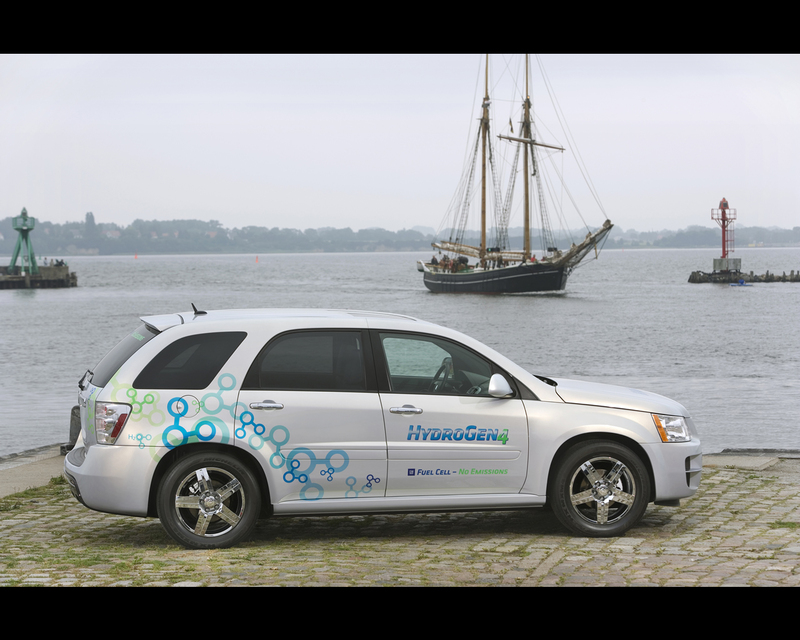 DOE has identified several pathways in its Hydrogen Roadmap with the potential to meet this target." "Six: Several analysis have shown that deployment of a fueling infrastructure is within reach. According to a GM estimate, a network of just 12,000 hydrogen stations would put hydrogen within two miles of 70 percent of the U.S. population - those living in the 100 largest metropolitan areas - and connect the major metropolitan areas with a hydrogen refueling station every 25 miles. Similar results exists for Europe. Even if these stations cost $ 2 million each, the total cost of $ 24 billion, while not "pocket-change", is not overwhelmingly in light of the opportunity being created (about $80 per capita). 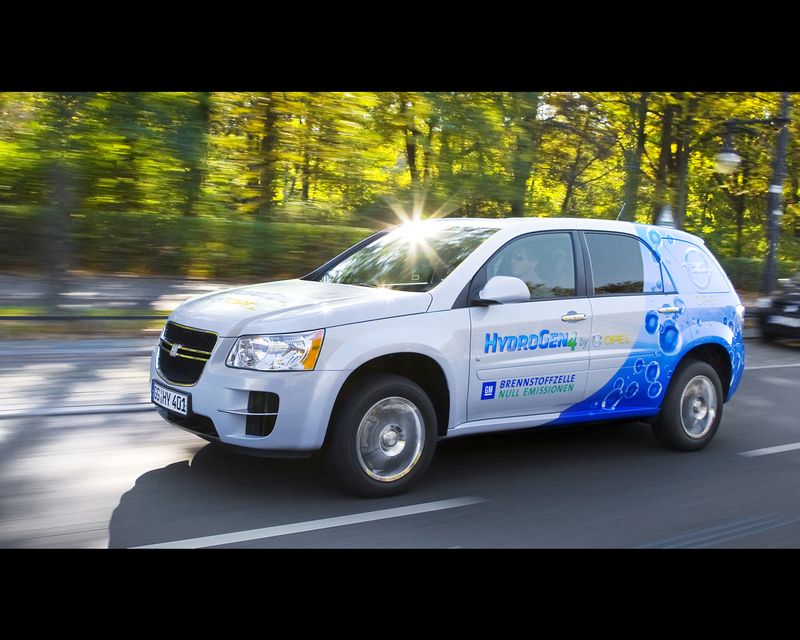 "Seven: Natural gas, electricity, and water are widely distributed in the U.S., making virtually any location a potential site for hydrogen production and vehicle fueling. Initial studies suggest "distributed" hydrogen production (via natural gas reforming or water electrolysis) could be economically viable - approaching a cost equivalent to $ 1,50 per gallon of gasoline. So, the infrastructure challenge perhaps is not one of wells, tankers, pipelines, refineries, delivery trucks, and stations, but rather one of "appliances", that efficiently and cost-effectively create hydrogen at a distributed scale." 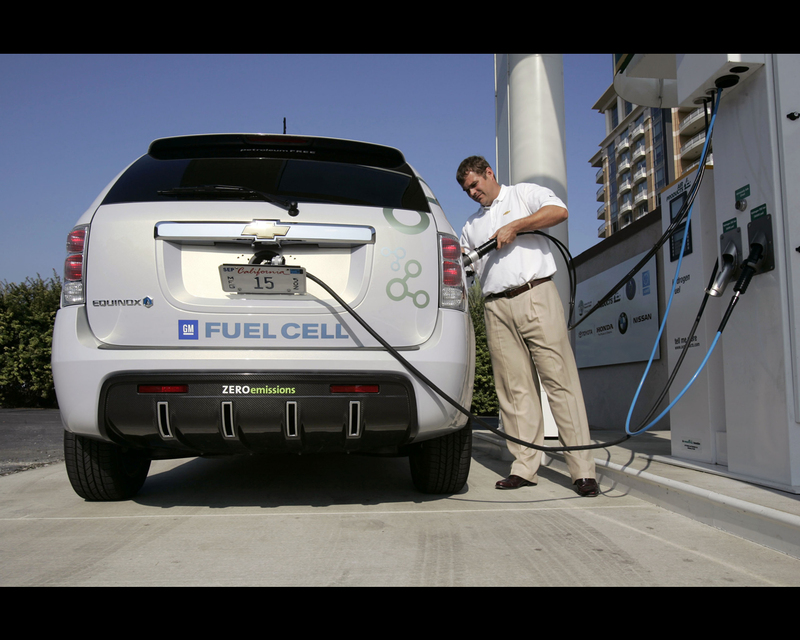 Eight: A 2 percent increase in the U.S. natural gas supply would support 10 million fuel cell electric vehicles. These vehicles would reduce CO2 emissions by over 50 percent an a "well-to-wheels" basis compared with the gasoline vehicles they displaced. Natural gas is already proven as an affordable source of hydrogen, with production cost roughly equivalent to 60 cents per gallon of gasoline. The point here is that natural gas is a good place to start, but certainly not the only source in the long run. (An analogy is ethanol. Corn-based ethanol has been a catalyst to get over seven million flex-fuel vehicles on U.S. roads. It was never envisioned as the end-game and now, with significant technology progress, ethanol from non-food sources like cellulose looks very promising.)" "Nine: Balancing infrastructure availability with fuel cell electric vehicles sales growth - and concentrating initials sales in specific geographic regions - will be essential to manage early capitalization risks. A practical first step would be to focus initial fueling coverage in concentrated regions. We are being very realistic in supporting a practical deployment of fueling coverage limited to a few select metropolitan regions - but we need these targeted regions sufficiently covered with hydrogen fueling stations!" "Ten: The hydrogen infrastructure for automobiles is economically viable and do-able, but will require a collective will by automakers, energy suppliers, and governments who have the courage to shape our destiny and take infrastructure to the next level." " The bottom line is: GM believes that hydrogen will play a major role in any scenario where clean energy, sustainability, zero vehicle emissions, and energy diversity are the end of the game. We are convinced that large numbers of our vehicles will ultimately be electrically driven and will be energized by hydrogen and electricity."